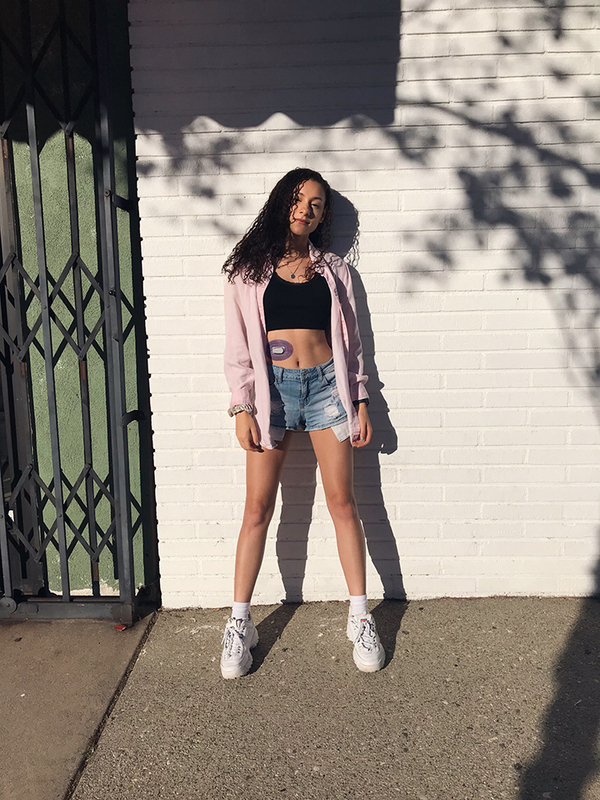 Breana Raquel Dishes on Beginner's Love and her T1D Journey | YAYOMG! Breana Raquel is brimming with creative energy, which she channels into everything she does. She recently released her first EP, Beginner’s Love, where she gets real about her life experiences. Creating the EP was an inspiring experience for Breana as an artist – it helped her discover her love songwriting and the music making process. When she isn’t working on new music, Breana is also an actress and Instagram model. She always keeps it real with her followers, posting inspiring captions and opening up about her recent Type 1 Diabetes diagnosis. 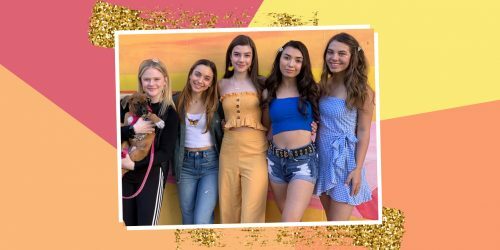 Breana values the authentic connection she’s built with her fans and hopes that they’re inspired by the stories she shares both online and through her music. Get to know Breana Raquel as she chats about Beginner’s Love, the women who inspire her, and the advice she has for her fans. You recently released your first EP, Beginners Love. Tell us a little about the album and the experience of bringing it all to life. BREANA RAQUEL: Beginner’s Love is my first EP and it’s Pop/R&B! The whole experience was so eye opening for me as an artist. I learned so much about myself and the industry throughout creating this EP. I fell in love with songwriting even more and it’s so exciting to have my own words out there for people to listen to. What is your favorite song on the EP? Which song feels most true to you? BREANA: My favorite song off the EP is Honestly. It’s so upbeat and gives me such old school vibes! How are you hoping to inspire your fans through your music? BREANA: One of my big things as an artist is writing my own music. When people listen to my music I want them to hear my thoughts and hopefully they’re inspired to put themselves passionately into whatever they do. You are also an actress! What are you currently working on? Any upcoming projects you are excited about? BREANA: I am! I’ve been focusing more on my music lately but I do have a Toyota commercial coming out soon and an episode of General Hospital! BREANA: I wouldn’t say I’ve overcome it just yet, but I was diagnosed with Type 1 Diabetes about 5 months ago. It’s been really challenging to put more focus into my health while still trying to do everything for my career. It will get easier and I refuse to let T1D stop me from doing anything I dream of doing. Who are a few of your female role models and how do they inspire you? BREANA: A few of my role models would have to be Zendaya, Angelina Jolie, and Ariana Grande. They all have had so much success in their career and aren’t afraid to show what they believe. Zendaya promotes Black Lives Matter, Angelina raises her kids in a way that allows them to explore and be who they are, and Ariana Grande supports the LGBTQ+ community. BREANA: There are a lot of things that people don’t really know about me! Like I’m mixed with black and white, I’m 5’2” and I can wiggle my ears without touching them! It’s my secret talent! When you’re not busy on set or in the studio, what do you like to do for fun? BREANA: If I’m not in the studio or on set I love taking pictures! My friends and I go out to cute spots and get pictures. On top of being an artist I’m an aspiring Instagram model! I don’t know how these girls do it but it’s fun to try and get “Pinterest-y” pictures for my Instagram! BREANA: I feel like I’m very open with what’s going on in my life. I’m okay with sharing real thoughts through my music or teaching my peers about what Type 1 Diabetes is. That’s why my EP release party also served as a fundraiser for Diabetes. I feel that sharing who you actually are with people inspires them to want to be authentic too. BREANA: Make sure you’re doing what you love. To me that’s the definition of happiness. Surrounding yourself with love and light. Finding something that makes you happy and doing it everyday, that’s winning! 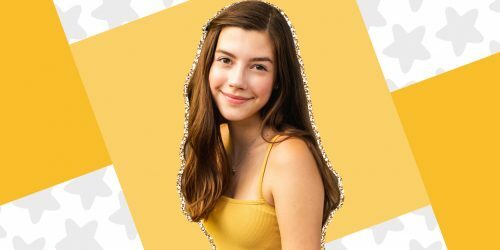 If Breana’s girl power inspires you, you’ll love checking out our Shimmering Star Spotlight on Kim Possible’s Ciara Riley Wilson!